When I got up last Saturday morning, I didn’t had any special plans. I checked the news and looked through my Facebook feed to see what my friends were up to. 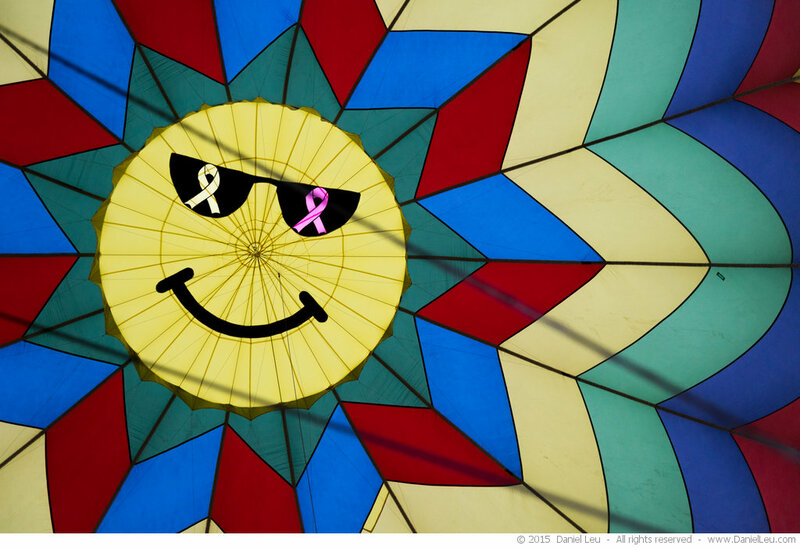 One post from Jin caught my attention: images of hot air balloons from a festival in Sonoma. Wow! So cool! As some of you might remember, two years ago I shot images of balloons at a lake in the Sierra. 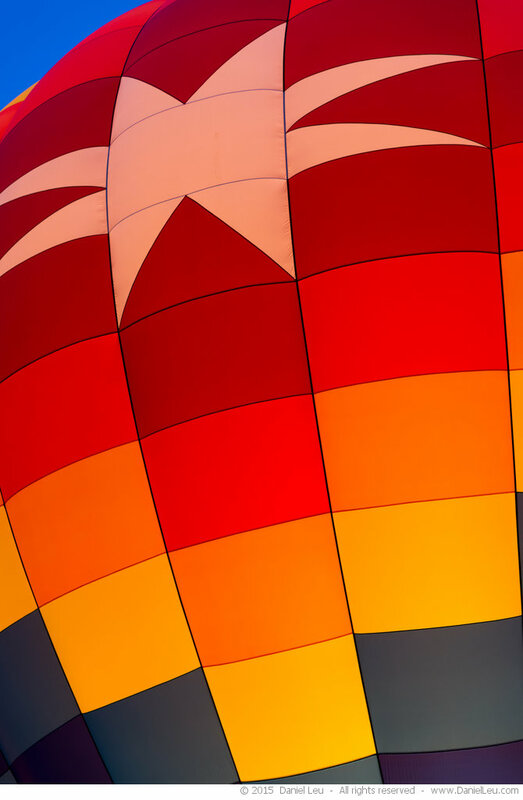 I googled around and soon enough discovered that the 25th Sonoma County Hot Air Balloon Classic was going on this weekend. A few hours later, I had my ticket for the show in my hand and a hotel room booked. Although it is only 60 miles from San Francisco, I wanted to be there for dawn patrol which was scheduled to start at 5 am. Getting up at 3am to drive up there wasn’t really my thing. That’s why I got a room up there for the night. When I got up Sunday morning, there was an unpleasant surprise: a thick layer of fog was hovering over town. I was about 15 minutes away from the site of the festival. So I was hopeful that it would be better over there. Well, it wasn’t …. But everyone was also hopeful and the crews started to set up the balloons. After the envelope (balloon) was laid out, it was filled with an inflator fan. Once the envelope is sufficiently filled, they can use the burner to do the heavy lifting. From here it goes very fast until the balloon is upright. 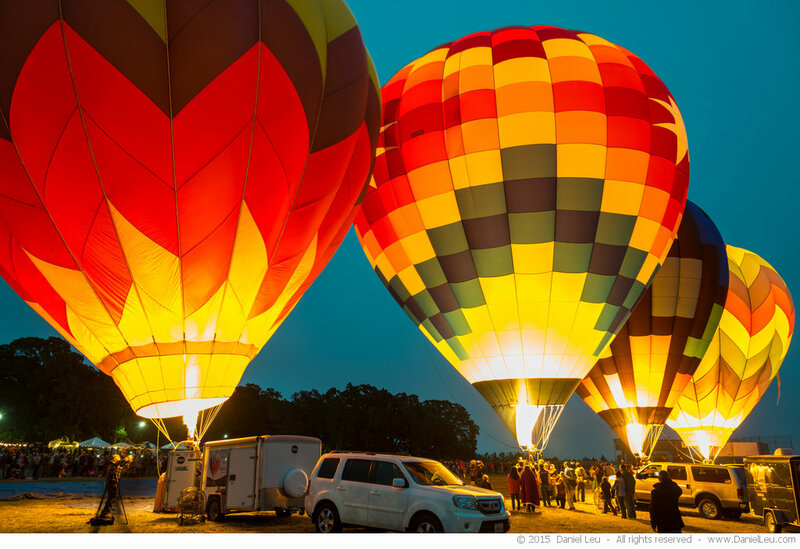 The reason to get up so early is the visual effect these balloons have at dawn. 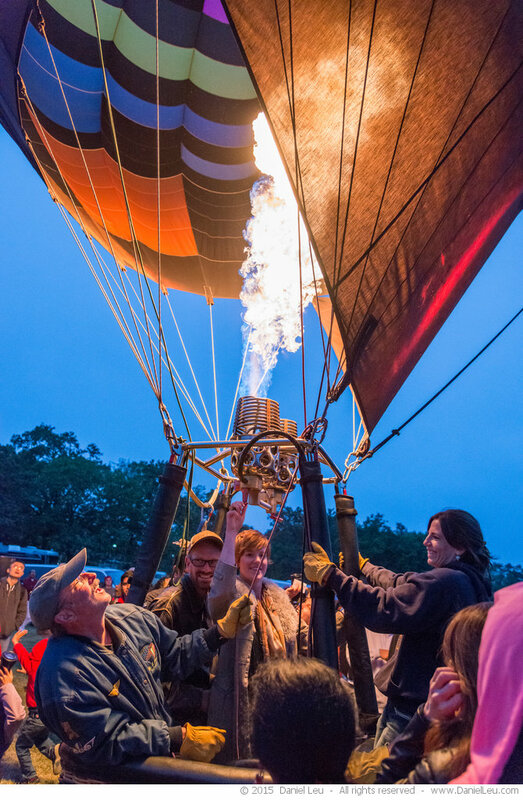 The pilots use a different fuel mixture for the burner that results in a warmer and brighter color. 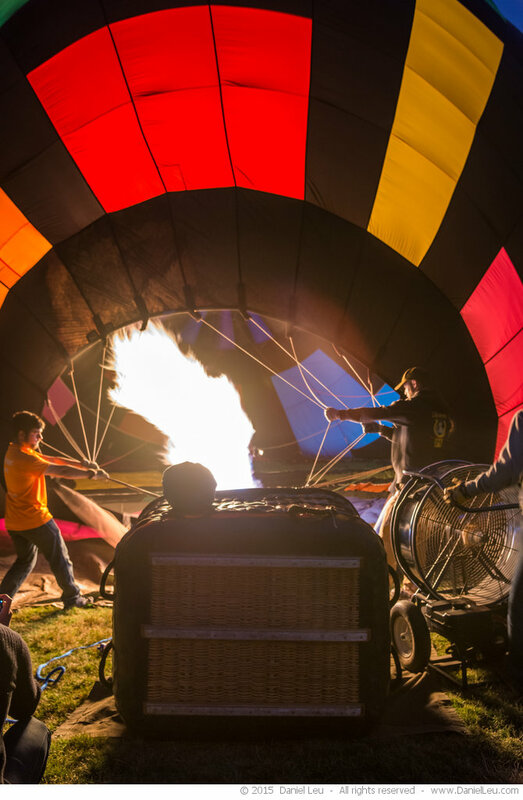 In the next image you see the difference in having a balloon lit versus not lit. 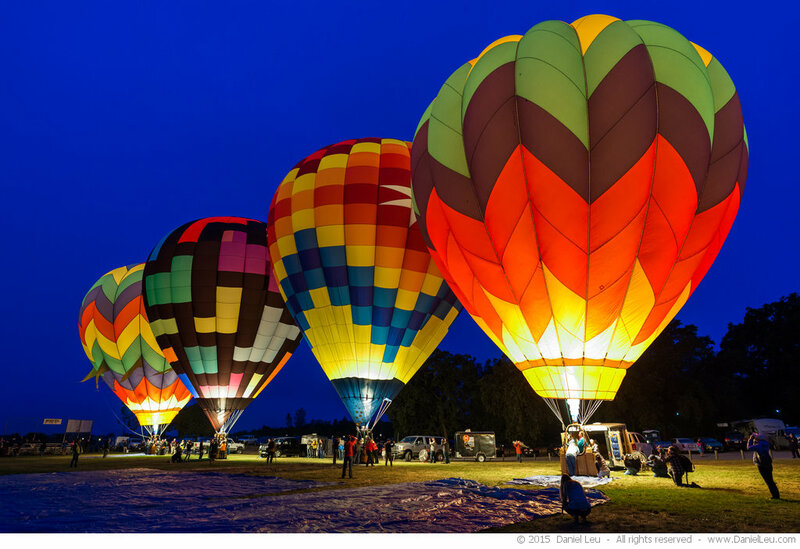 And it is really beautiful when all balloons are lit at the same time. 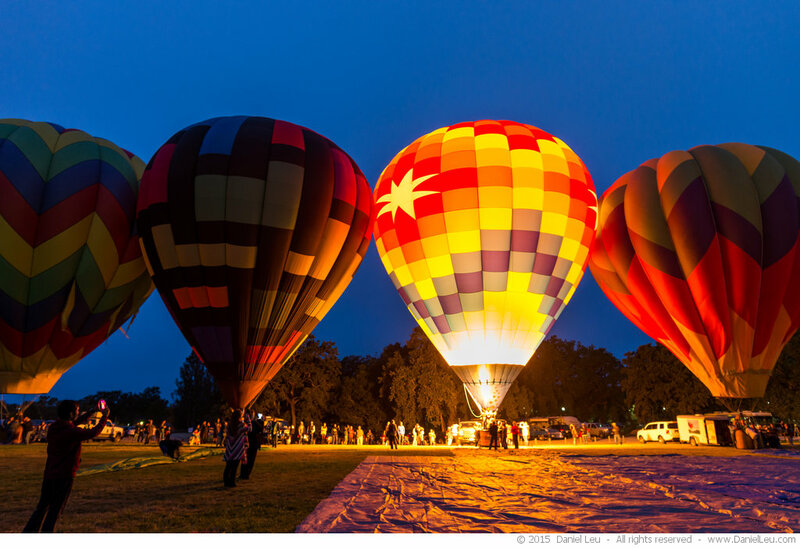 The names of the balloons are (from left to right): Free Spirit, Kiphaven, Sonoma Star and Magic Moments IV. Two paying spectators were waiting in the basket and had fun playing with the burner while waiting for take-off. 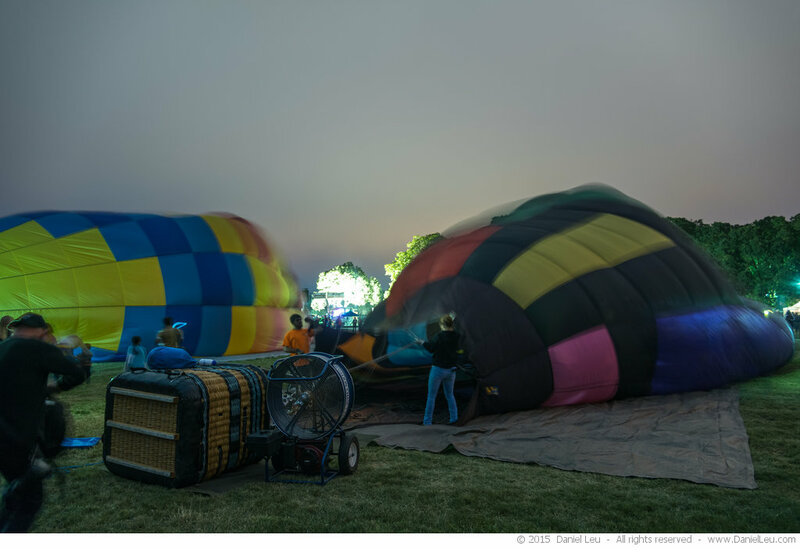 But due to low-hanging clouds and limited visibility, all four balloons from the dawn patrol stayed on the ground.